Frog Gig 5-Prong Pattern With Barbs | BUDK.com - Knives & Swords At The Lowest Prices! Don’t go out frog-gigging without this incredible winner of a frog gig! 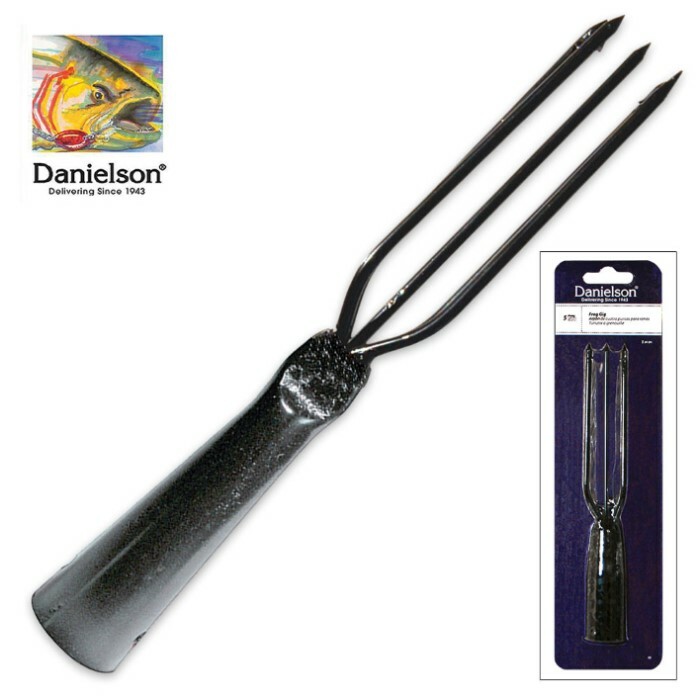 With needle sharp points and sure-holding barbs, this gig is uniquely designed with a diamond pattern and a center prong. 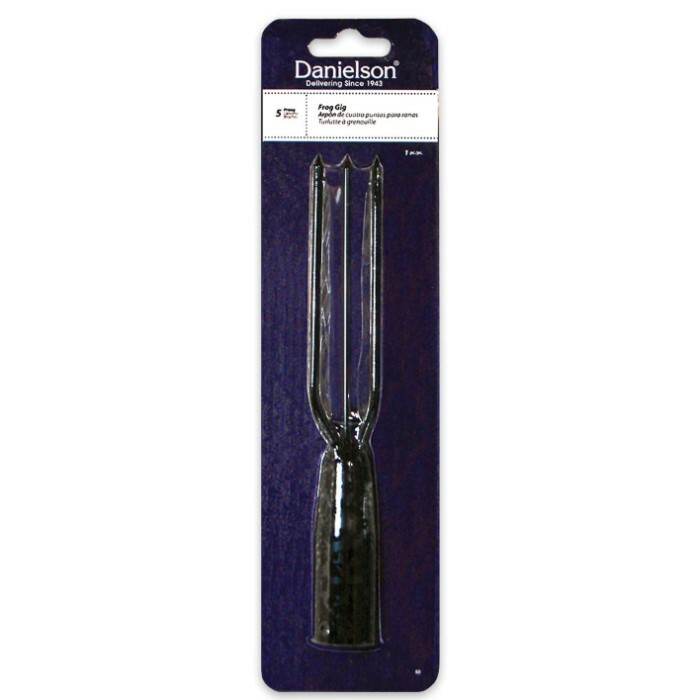 Measuring 7-1/2” overall, with 4-3/4” tines, it is made of tempered steel and has a black enamel finish that fights corrosion. It also has a drilled ferrule for easy mounting.